2) workmanship and used material quality of Custom made instruments are characterized by mutual cooperation between Prochazka Custom Guitars and consumer, that includes consultation about a suitable model, material characteristics, design interpretation, electronic complement and many others. Prochazka Custom Guitars produce only tens of instruments per years to achieve the highest quality. This makes it possible to guarantee the quality of each very instrument made by Prochazka Custom Guitars. We will recommend a number of variants for you. Prochazka Custom Guitars offer test of realized instruments if it is possible. 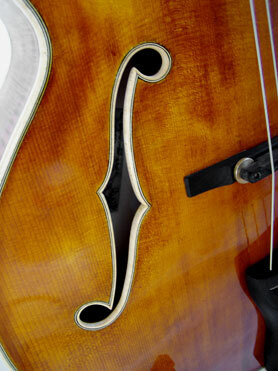 It will help you to choose adequate instrument. Can I play some of your instruments in your workshop? Yes, we offer test of asked instrument if it is possible. High quality amps are available of course. (AER, Fender, VOX). Can I choose a concrete piece of material which will be used on my instrument from your supply? Is it possible to suggest instrument construction? We will take into account your suggestions in case of point 1). We will discuss point 2). Fundamental structural design comes out from our experience and cannot be changed. Where do you buy the material and what are differences between material used by reputable guitar factories? We buy the material from prestigious companies from USA or Europe. These suppliers, specialized in tonewood, mostly supply the biggest guitar factories around the world. Specialized companies guarantee material quality and technical flawless process of wood treatment from felling to kiln drying. We offer most of materials used by best known guitar companies. Can I get material for my guitar myself? Yes, but we will ask you for provenance of wood and its processing to avoid stability and quality troubles. Are finished instruments for sale in your shop? We offer for sale instruments used at music fair presentations. These instruments are on view at our web pages and it is discounted. Never used instruments are distributed by selected music stores. Our business partners are listed at our web pages. For up-to-date information please call us or e-mail us. Are cheaper instruments offered by Prochazka Custom Guitars made in the same quality and under the same technology as the most expensive lines? Absolutely yes! The cheaper models are represented in acoustic guitars line as model "D" and in archtop guitars line as model "Student". Price is reduced by small - lot manufacture working and by custom options impossibility. Please ask us for actual specification of listed models. It changes in course of time. Prochazka Custom Guitars guarantee lifetime warranty onto instrument constructional defects for registered customers. Two years warranty is provided onto non custom instruments (e.g. Student or D lines), hardware and other accessories. Four years extended warranty for non custom instruments is provided for registered customers. Conditions of guarantee are published in full in instrument dispatch note. Please ask as for further information. Do you offer service and repair work? Yes, we do. We provide service for all Prochazka Custom Guitars customers no matter the instrument producer. Other services are provided by our contractual co-workers.